We've found too many press releases to display together so we've listed the 20 closest matches to your search for 'free movement.' You might like to refine your terms and try again. Sue Wilson of Bremain in Spain comments on how British citizens have been living in limbo, and fear, for 2.5 years. The EU waiving visa requirements for 90 days' travel is good news for British tourists but not for citizens who live there. Meanwhile, Wilson thinks parliament will reject t a no-deal. The UK in EU Challenge group is launching its appeal after permission to proceed was denied by Judge Ouseley on 10 December. 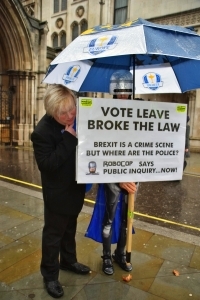 Lead claimant, Sue Wilson, says the team will fight its corner using every legal avenue as it's beyond dispute that Vote Leave broke the law and tainted the referendum result. 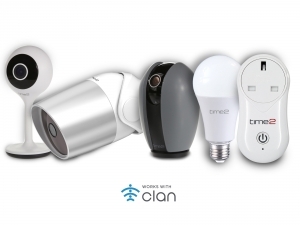 UK tech company Time2 launches Clan – its next-generation family of affordable and easy to use smart home devices, starting with a range of home security products and set to grow from there. Members of campaign group, Bremain in Spain, express confusion and consternation at Theresa May's appearance at the Tory Party Conference, in which she danced bizarrely to ABBA's 'Dancing Queen' but did not provide any reassurance about the rights of British citizens living in EU countries. 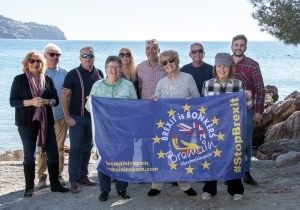 Campaign group, Bremain in Spain, whose chair, Sue Wilson, is the lead claimant in the UK in EU Challenge against Prime Minister Theresa May, reports on the progress of the case. The UK in EU Challenge team is hopeful of a full hearing in October over whether the referendum result was valid. 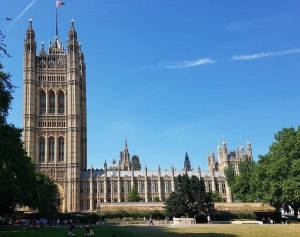 Bremain in Spain Comments on Brexit "Progress"
Bremain in Spain, a campaign group for British citizens in Spain, comments on the government's recent defeats in the House of Lords over the EU (Withdrawal) Bill at Report Stage. In particular, the revolt among Labour peers re the vote on the EEA, and calling to retain membership of a single market. Brighton Naked Bike Ride will return to the city’s streets on Sunday 10 June 2018. A special emphasis will be made this year to celebrate the role of cycling in women’s liberation, marking the 100th anniversary of votes for some women in 1918. Bremain in Spain, a group campaigning for the rights of British citizens in Spain, comments on the reactions to Theresa May's speech on Friday 2 March. Bremain in Spain believes that May's red lines are turning pink and that the chances of a referendum on the final deal are increasingly likely. Bremain in Spain ( http://www.bremaininspain.com ), a group campaigning for British citizens in Spain, comments on the latest EU negotiations, as part of the British in Europe coalition of citizens' groups. It is déjà vu time again as very little has changed 20 months after the fateful referendum. Bremain in Spain ( http://www.bremaininspain.com ), a group campaigning for the UK to remain in the European Union and to protect the rights of British migrants living in Spain, comments on the confirmation by the European Council, on Friday, that Phase Two of the Brexit talks can start. Bremain in Spain, a group campaigning for the rights of British citizens in Spain, comments on the latest round of Brexit negotiations and the trouble with the UK government's negotiating stance re the Irish border issue. Meanwhile, citizens' rights are lacking priority in the negotiations. 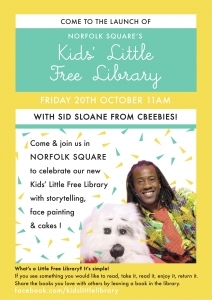 Brighton's Norfolk Square is to get the city centre's first Little Free Library when it launches later this month, featuring CBeebies presenter Sid Sloane. Bremain in Spain, a campaign group for British citizens in Spain, in conjunction with British in Europe, the largest coalition of UK citizens in Europe, has assessed the joint UK/EU technical note on citizens' rights from the third round of Brexit negotiations and comments on the implications. 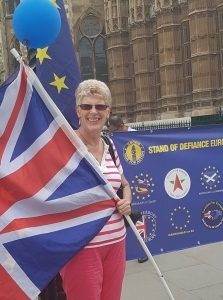 Sue Wilson of Bremain in Spain, a campaign group for British citizens in Spain, comments on the Brexit negotiations and the situation concerning citizens' rights - in particular, the new threat to freedom of movement. 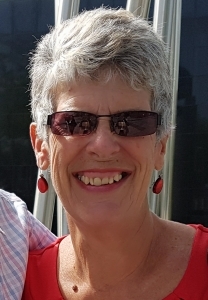 Sue Wilson of Bremain in Spain, a group campaigning for the rights of British citizens in Spain, comments on the forthcoming political party manifestos re guaranteeing the rights of UK citizens in the EU and EU citizens in the UK, as well as provisions for triple-lock pensions and Votes for Life. Campaign groups, including Bremain in Spain, warn that Brexit may force hundreds of thousands of UK pensioners living in EU countries to return to the UK, straining health and social care services. Key issues are whether reciprocal healthcare arrangements will be removed and pensions frozen. 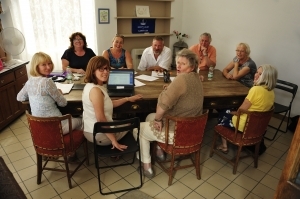 Launching 6 August 2016, Fair Deal for Expats has been formed to represent the interests of an estimated 1.3 million UK citizens living and working in the EU and to be an umbrella for other expat associations with similar objectives, in the absence of any UK government plans or policies. 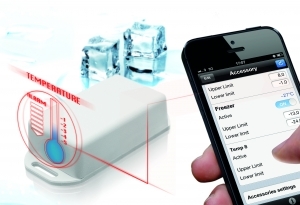 The very latest in GPS alarms and monitoring for boats, mobile homes, caravans, cars and even tents, is launched in the UK, just in time for Christmas. 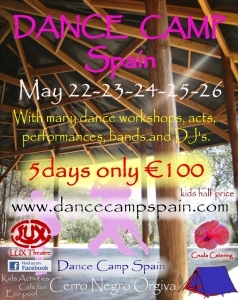 Dance Camp Spain in May 2013 combines an active camping holiday with tuition from professional dance teachers. It takes place in La Alpujarra, southern Spain.